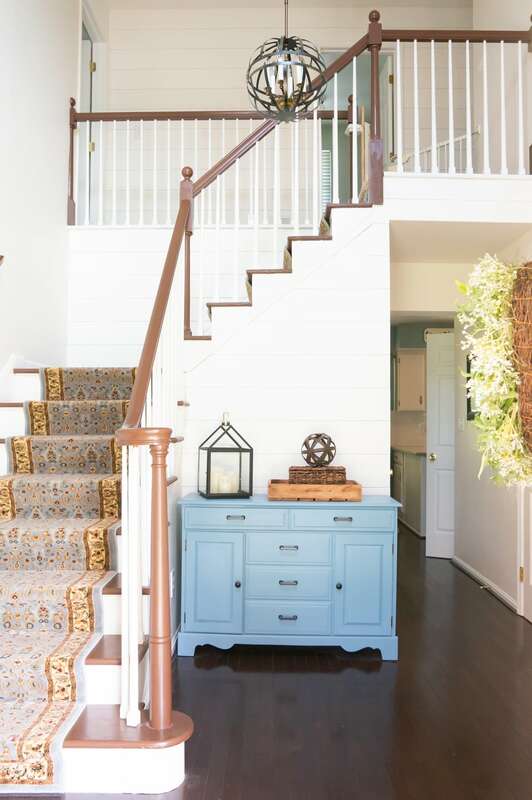 House tours are one of my favorite posts on house blogs. It’s fun to get a glimpse into the homes of other people. 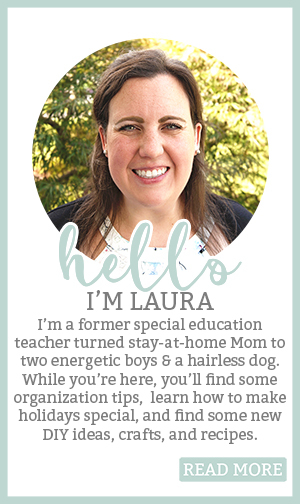 Kind of like HGTV meets blogging. Well, I totally failed to get my house tour up from our previous house. So, I thought it would be fun to take a look back at our previous home. 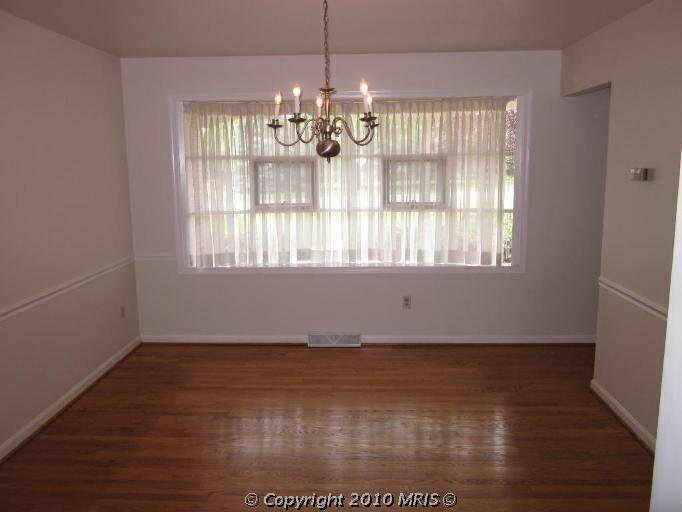 The before and afters are pretty drastic in some rooms (I’m looking at you kitchen and master bath). Here’s a little history of our home. 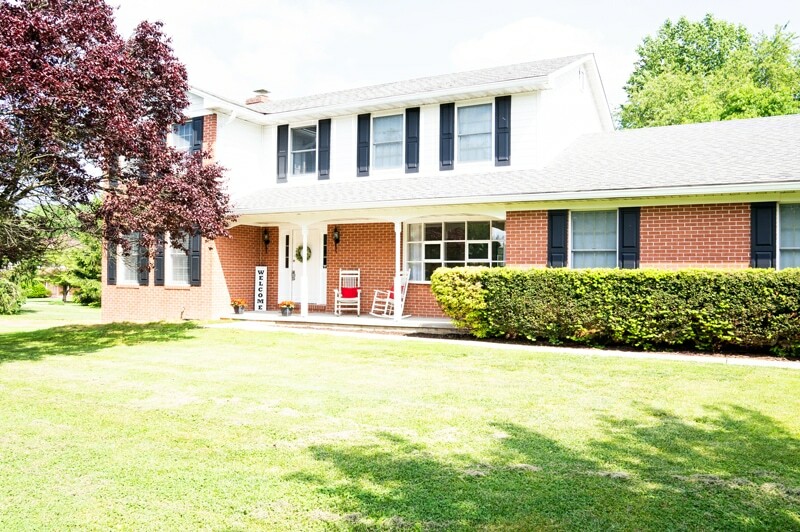 We purchased our home as a fixer-upper. It seriously needed everything remodeled. We spent seven years with the help of our families taking it out of the 1980s and into the current day. We were sad to leave it but knew it was the best choice for us at the time so we could move into our forever home. 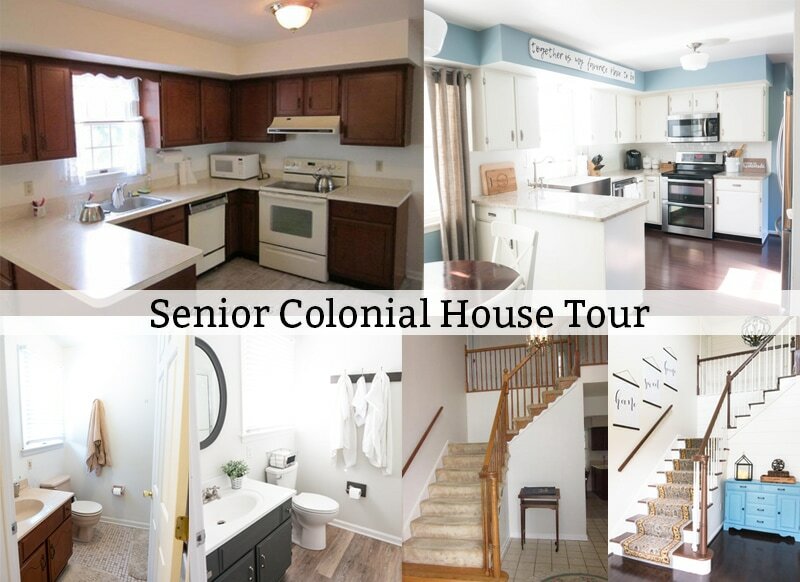 We lovingly named our home the Senior Colonial. We named it a colonial because well, it’s a colonial. But we called it Senior Colonial (or my husband did) because we bought it from an older couple that hadn’t changed a thing except the kitchen floor since they moved into it in the mid-1980s. Plus, the adorable couple we purchased it from had a “nap” room on the main level and we thought that was the cutest thing, ever. 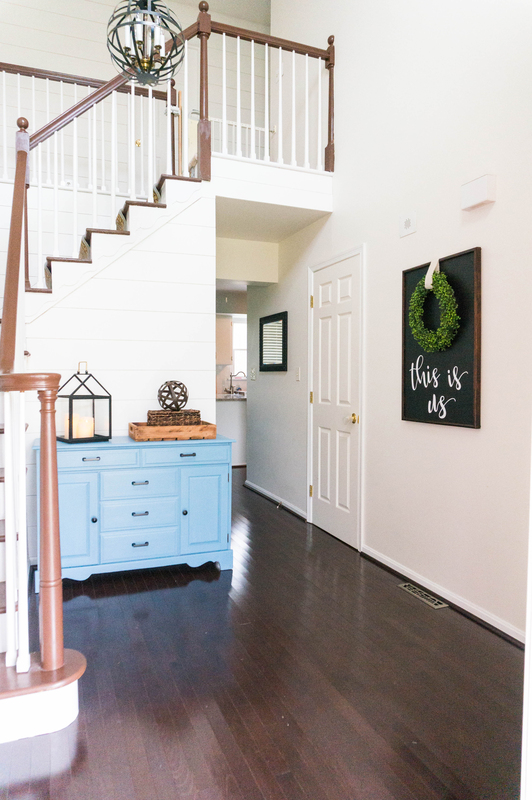 Want to see the steps we took to stage our house? 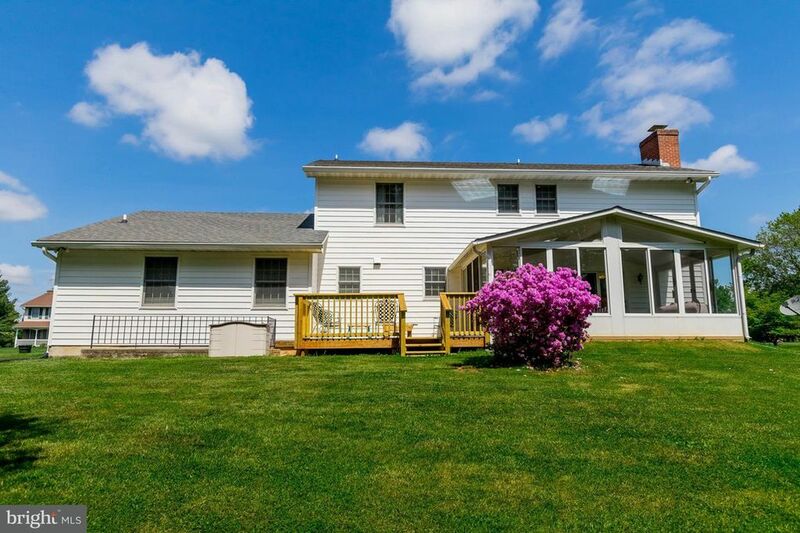 We were able to sell our house on the first day we listed it! 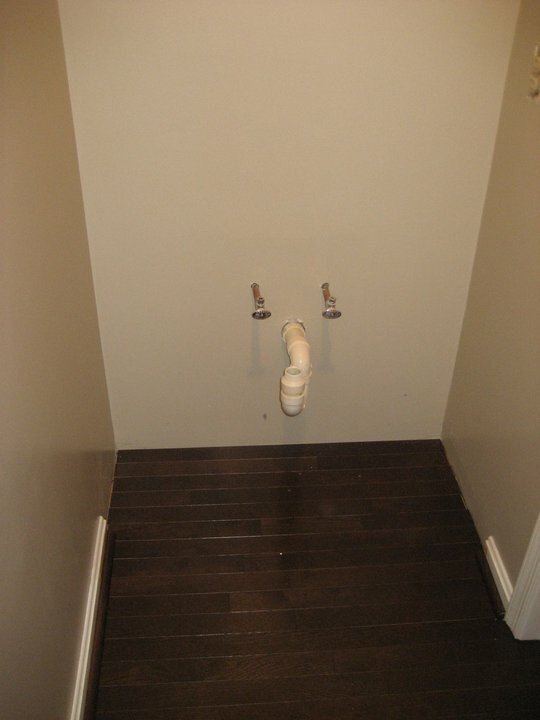 With the help of our parents, we were able to DIY everything in our home but some of the flooring. It helped us save money so that we could make more when we sold it. We also left some projects on the table because there just wasn’t value in them. 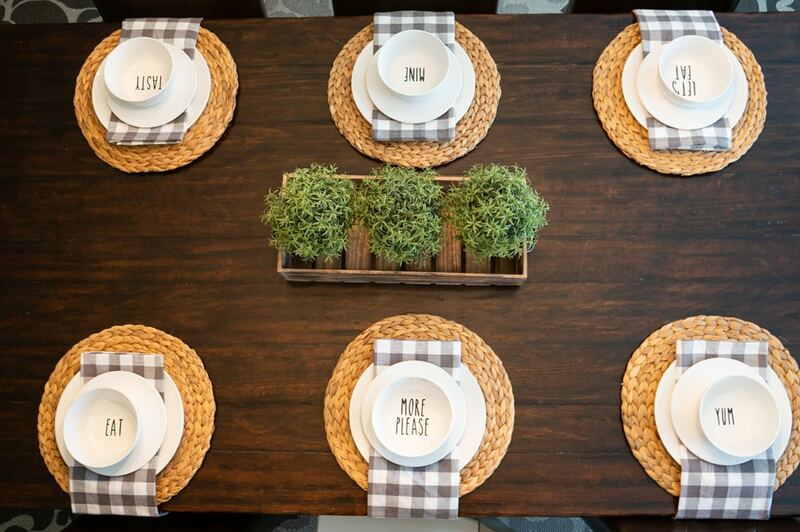 If you’re thinking about selling, don’t miss our post on staging a house. Now, we are in the process of building a custom home. You can read all about it here. 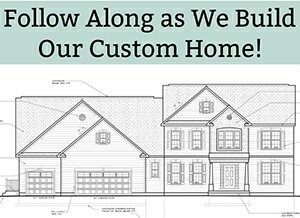 I share all of the ins and outs of custom home building (the good and the bad). 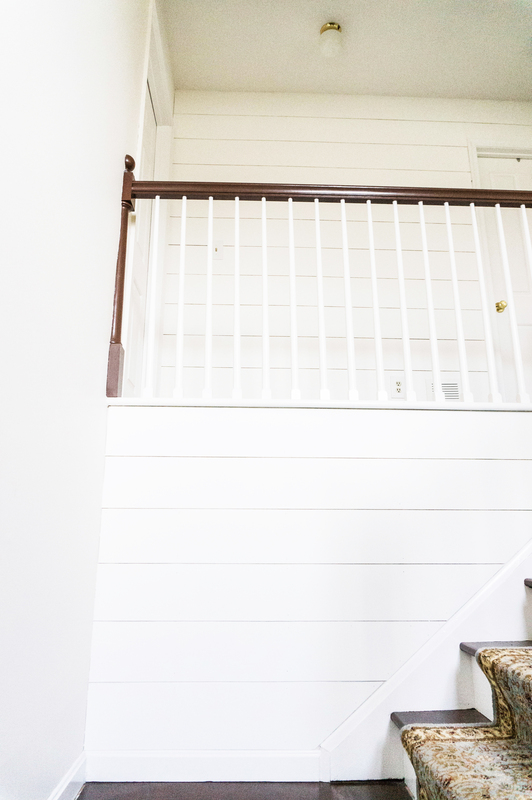 If you’re thinking of building a new home, definitely check it out. 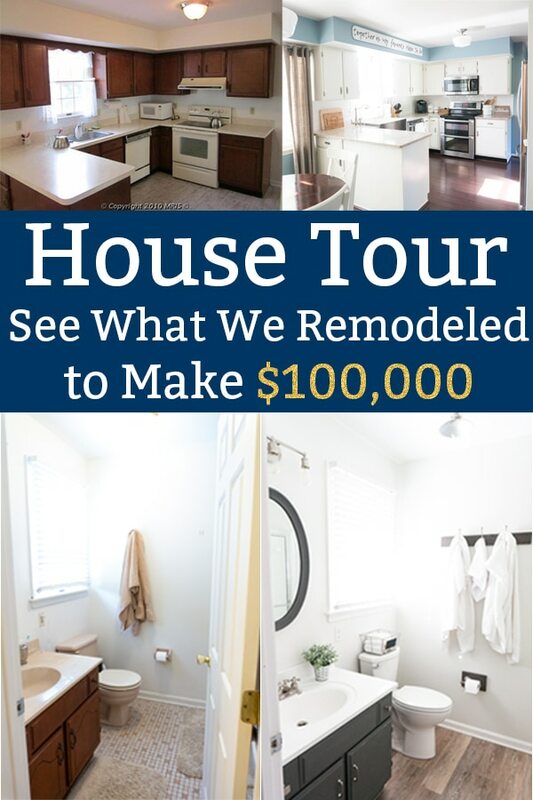 For each section of the house, I will share a link to the various remodel posts that go with it. 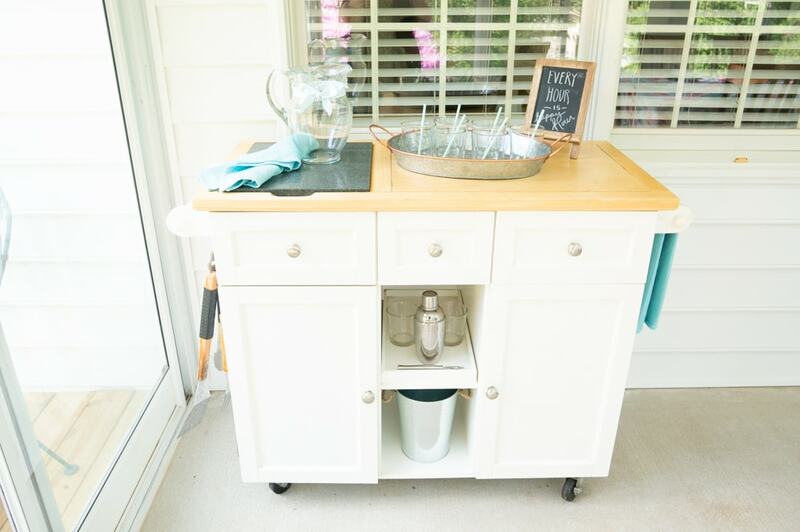 You can find the DIY directions/steps for many of our home projects. These are not all of the rooms in our home. 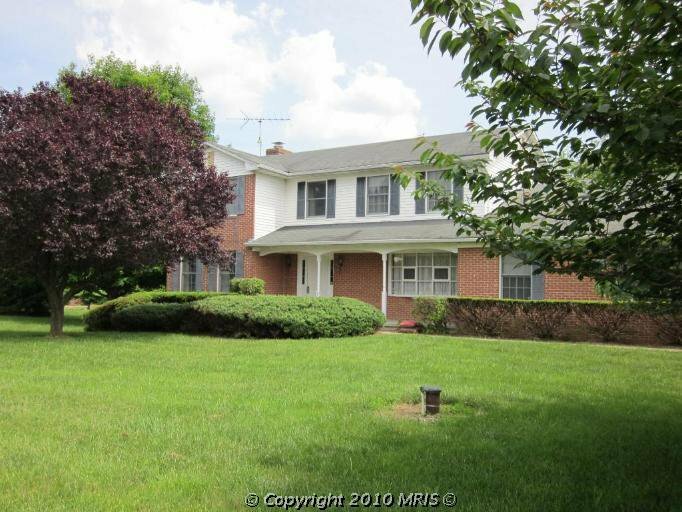 I have not included the playroom, our boy’s bedrooms or the upstairs hall bath. 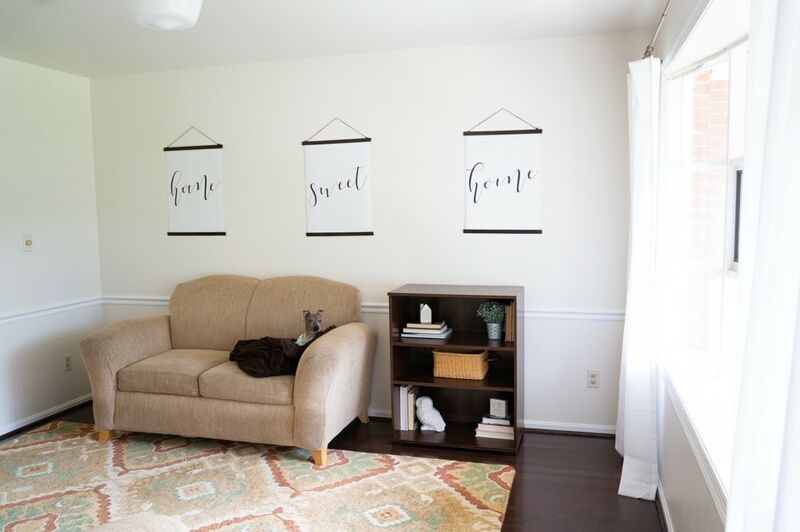 I have made the decision to respect my boy’s privacy by keeping their spaces private and off the blog (although I will share the spaces in the new home before they are lived in). Unless they decide later they want to show off their space (we’ll see!). 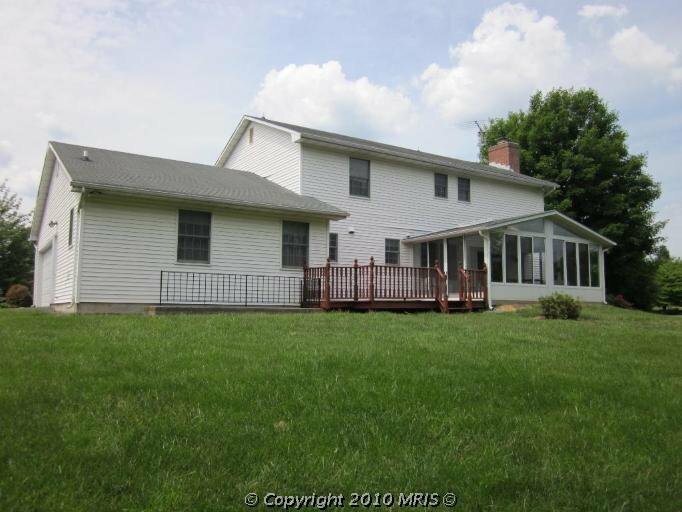 The Senior Colonial remodel would not have been made possible without the help of my parents and my in-laws. They helped us DIY many of the projects both inside and outside of the house and they also watched the boys. 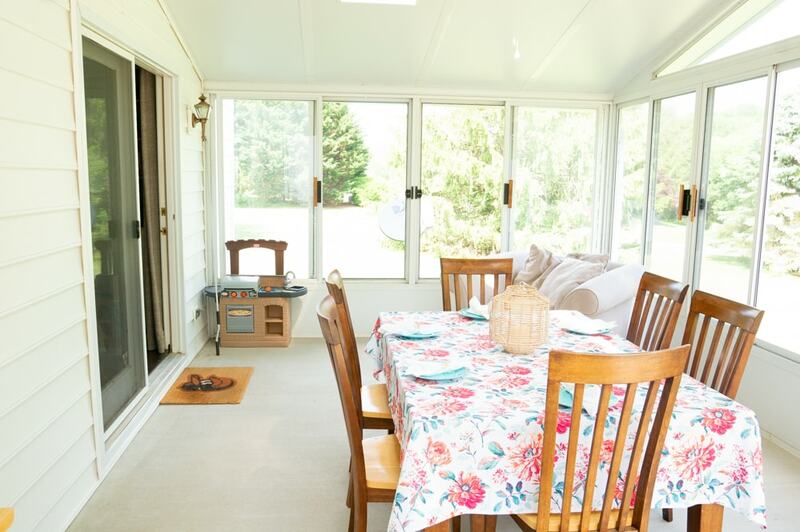 We replaced the shutters, repainted the porch a fresh coat of white, painted the porch lights, removed the overgrown shrubs, added decor, added a new large shed, fixed the sunken sidewalk, graded under the dining room windows, and replaced the siding. 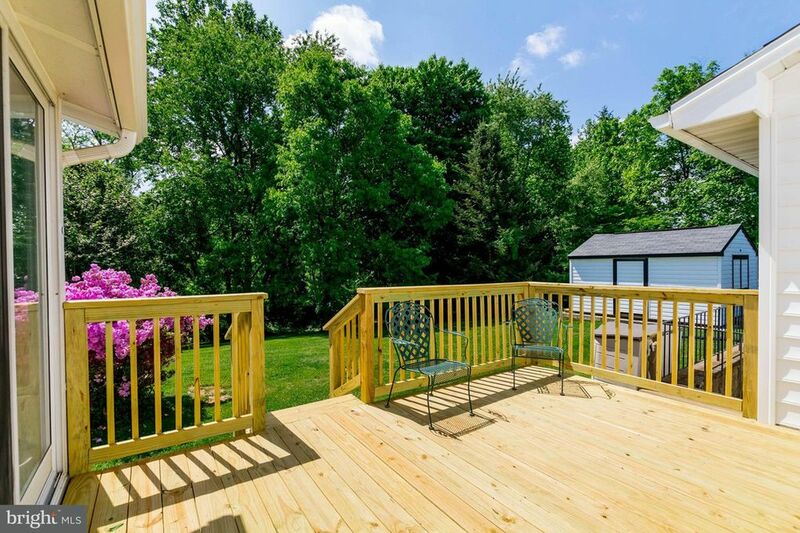 The backyard, my dad and husband built a new deck. 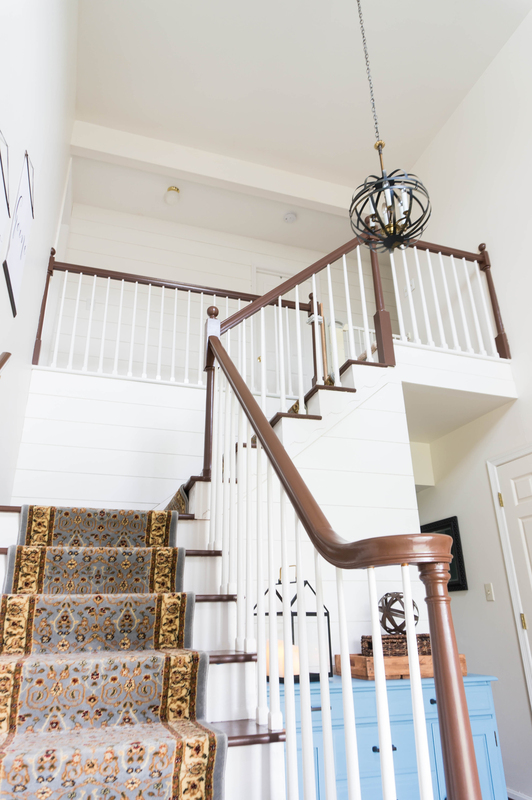 We replaced the flooring, removed the carpet from the stairs, painted the stairs, replaced the light, ship-lapped the back wall, and added decor. 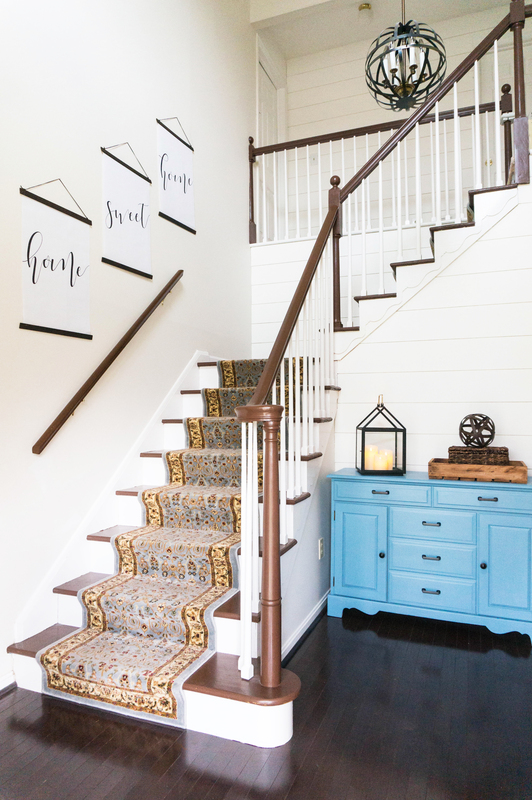 See the foyer posts below. 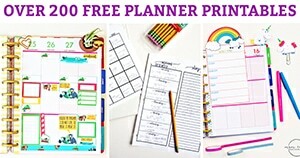 Click on each link to see some great DIY projects. The foyer before (after we removed the carpet). 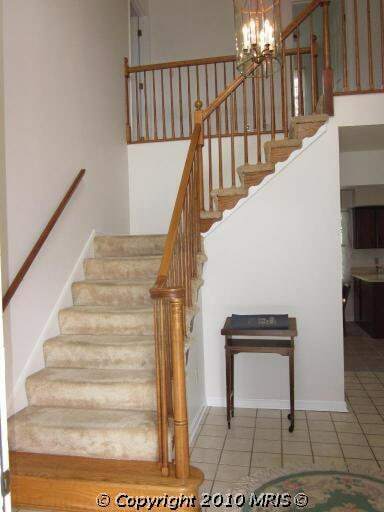 The after (when we listed the home, we removed the home sweet home that was hanging in the stairwell). 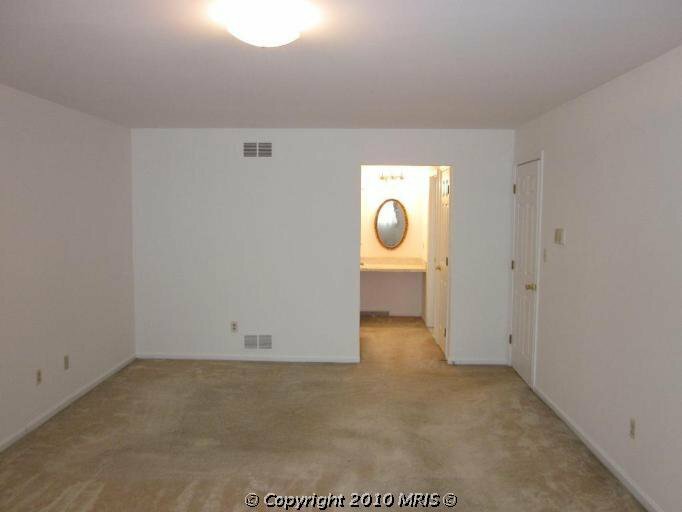 For some reason, we didn’t take any (nor did the listing have any) pictures of the powder room before. It was pretty basic. It had the same tile flooring as our foyer did above. In addition, it had a similar cabinet to the one in our playroom (which I share below). 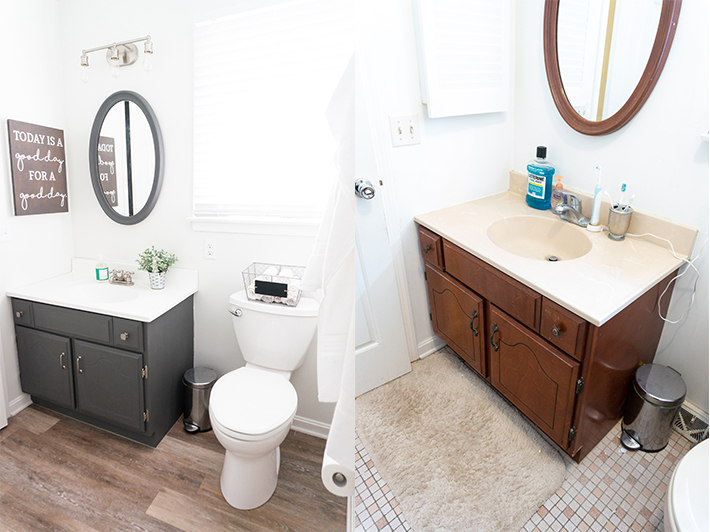 We replaced the flooring, painted the light, painted the mirror (hidden medicine cabinet), replaced the vanity, replaced the toilet, changed the plumbing for the vanity, and all of the toilet paper and towel holders. 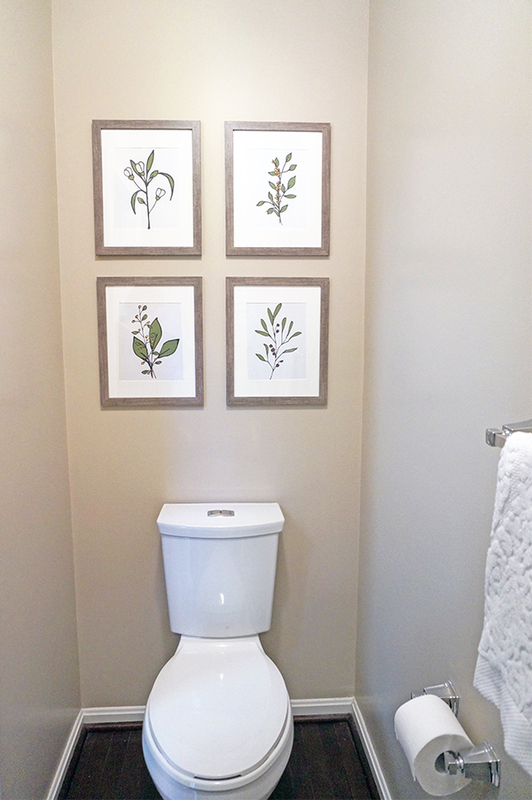 Check out more about the bathroom remodel and download the botanical prints for free, here! 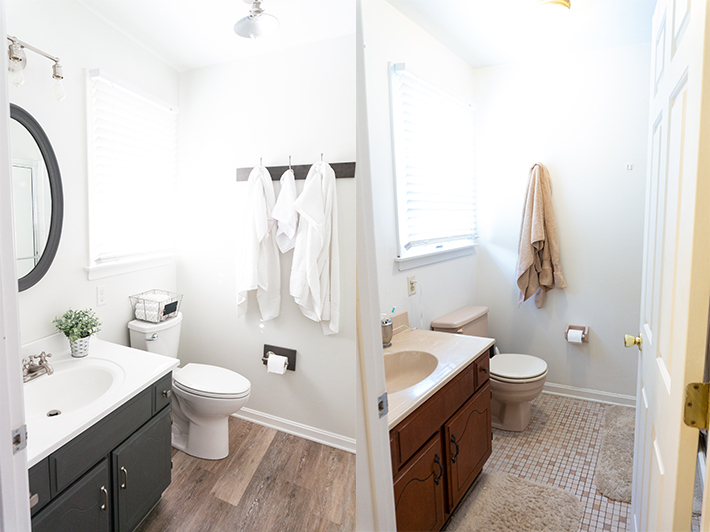 The best part is that we remodeled the entire bathroom for under $1,000. This is not the vanity/bathroom. 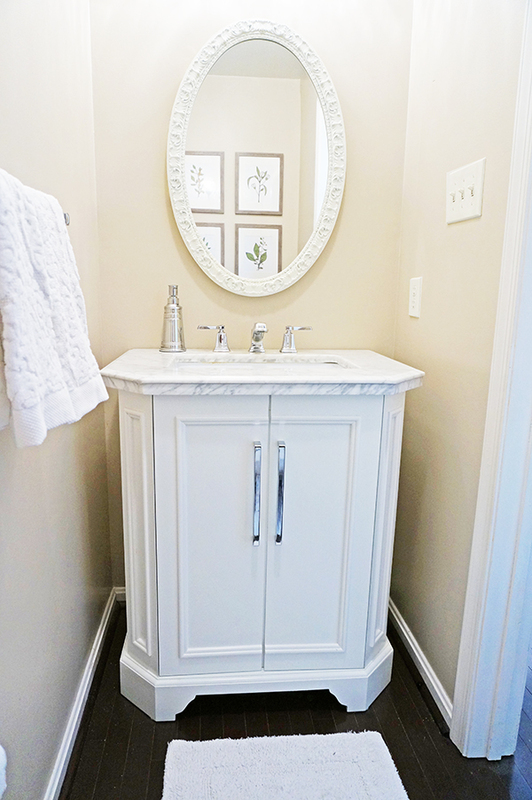 But this is the style of cabinet that was in the bathroom. In the middle. 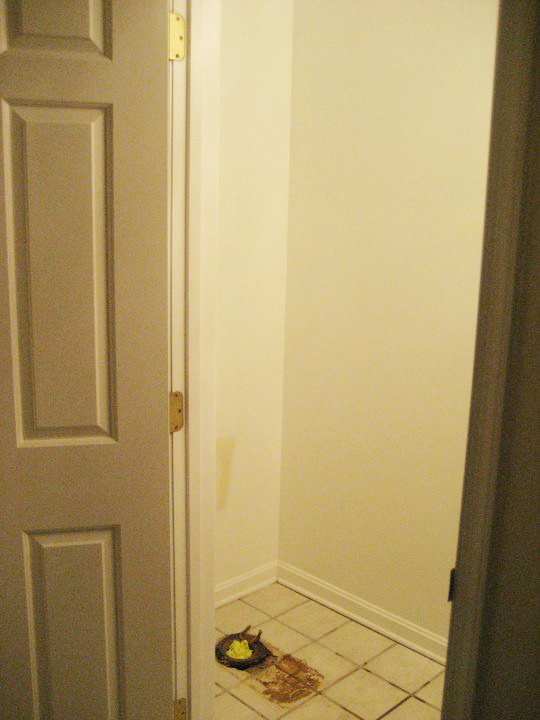 New flooring, patched and painted walls, and fixed plumbing. After. The prints are available for free. The Senior Colonial originally had a dining room in this room. We felt it was too small for our families. So we removed the chandelier and turned it into a living room. We didn’t do much (this room was the least updated probably in the house). 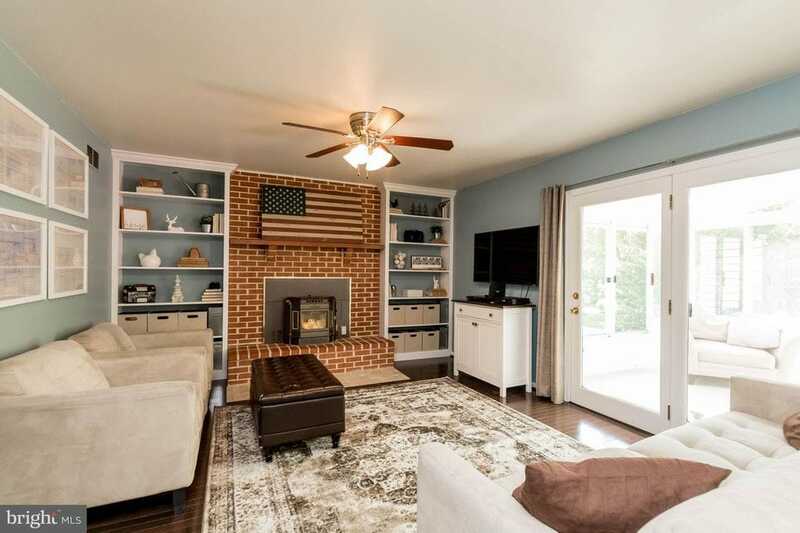 We changed the flooring, added a rug, added some old furniture and added art and decor. 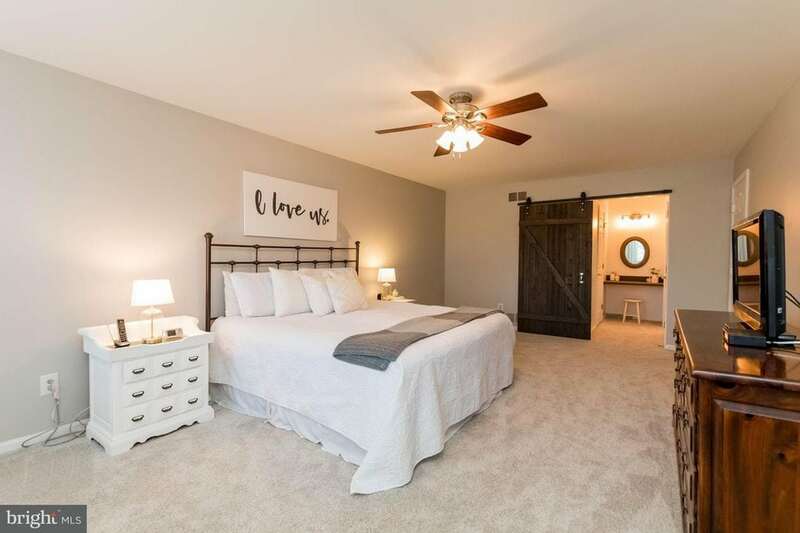 When we listed the house for sale, we staged this room a little better to what you see below. 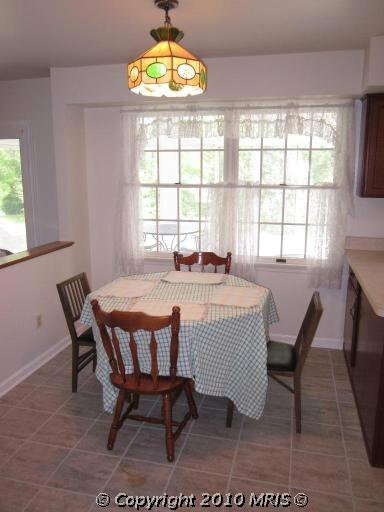 By the time we left, the dining room was one of my favorite spaces at Senior Colonial. 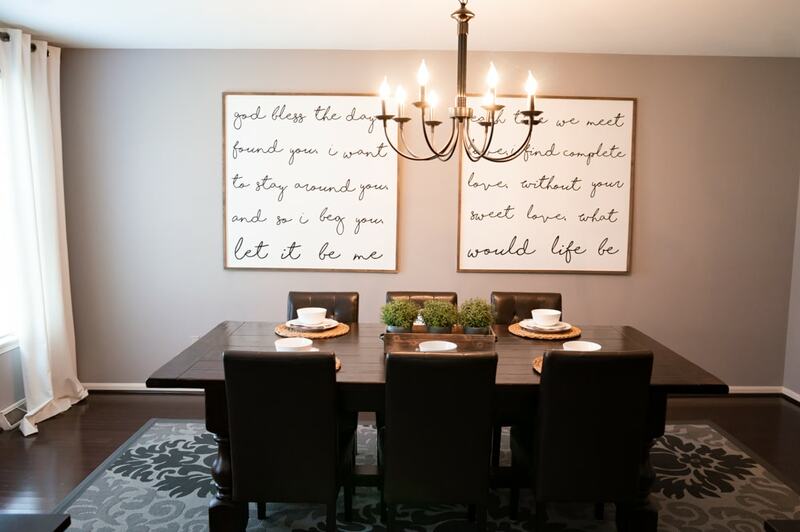 It was my favorite paint color and I loved the large wall art. 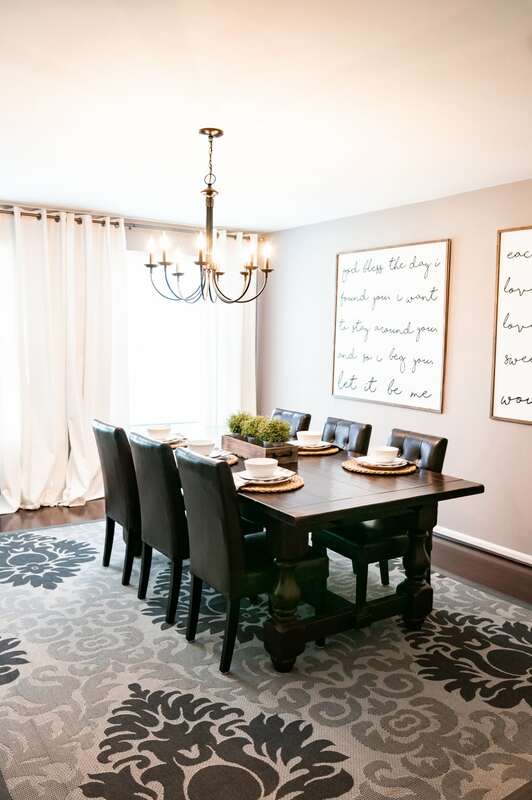 For most of our time at the house, my grandmother’s chandelier hung in the dining room. 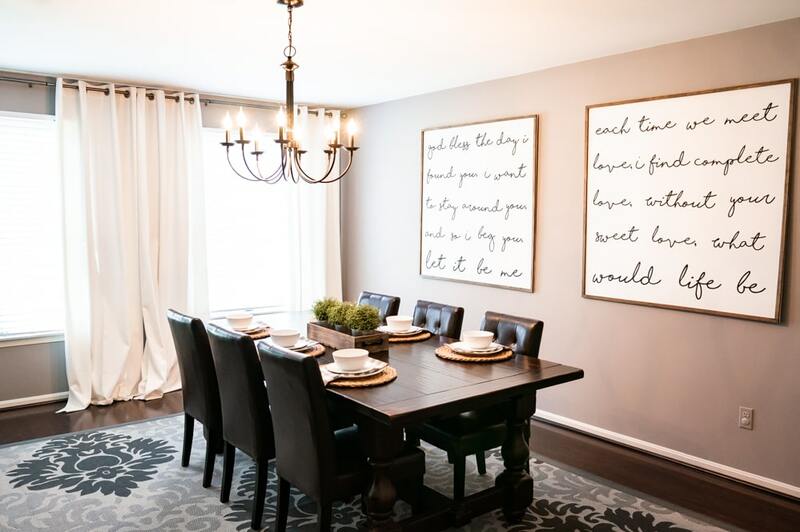 We changed it for staging the house because we didn’t want buyers to think it was staying with the home. 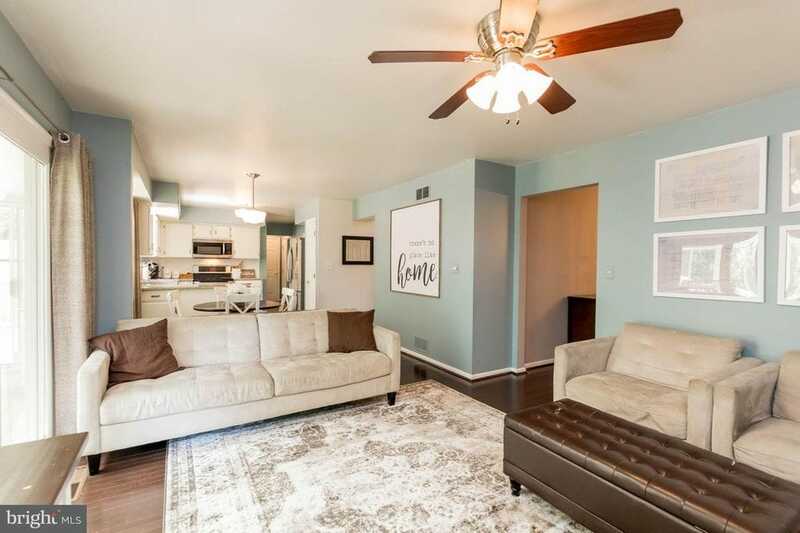 We changed the flooring, added a rug, changed the light, and added art and decor. 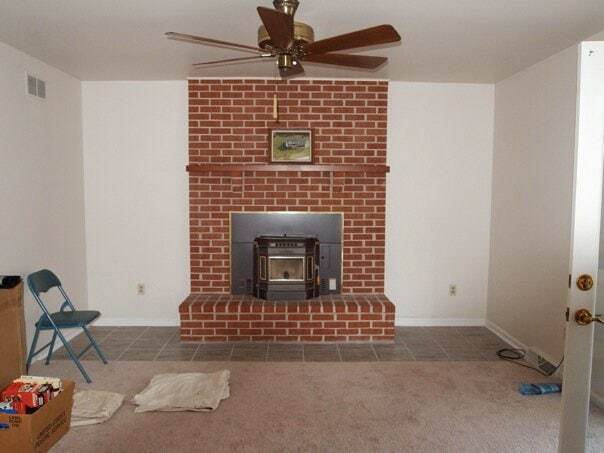 This room was originally a living room. 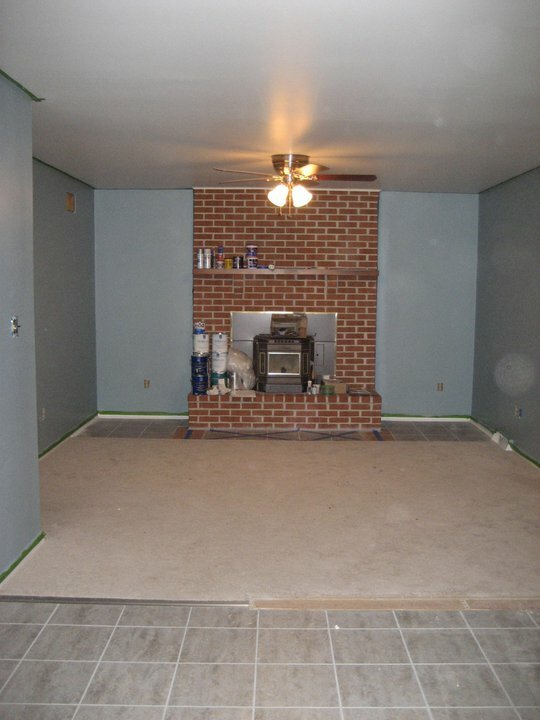 The family room received new flooring, paint, custom built-ins by my Dad and husband, half-wall removed, and decor. 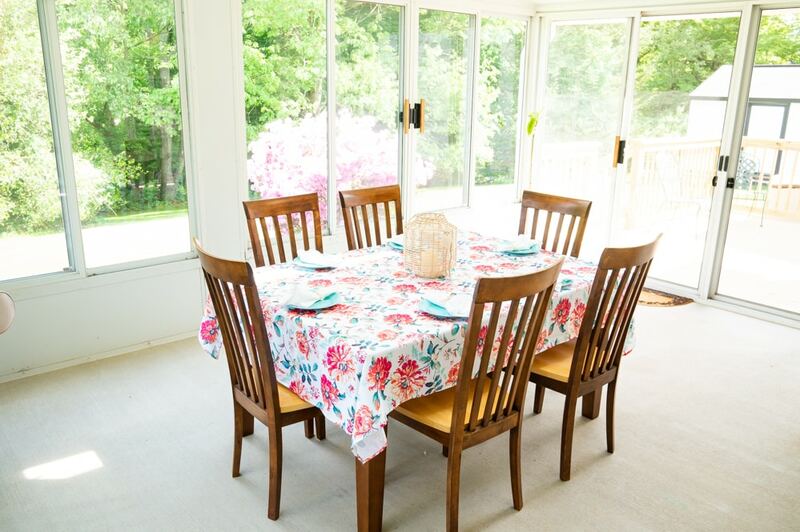 I’ll miss the sunroom from the Senior Colonial most. 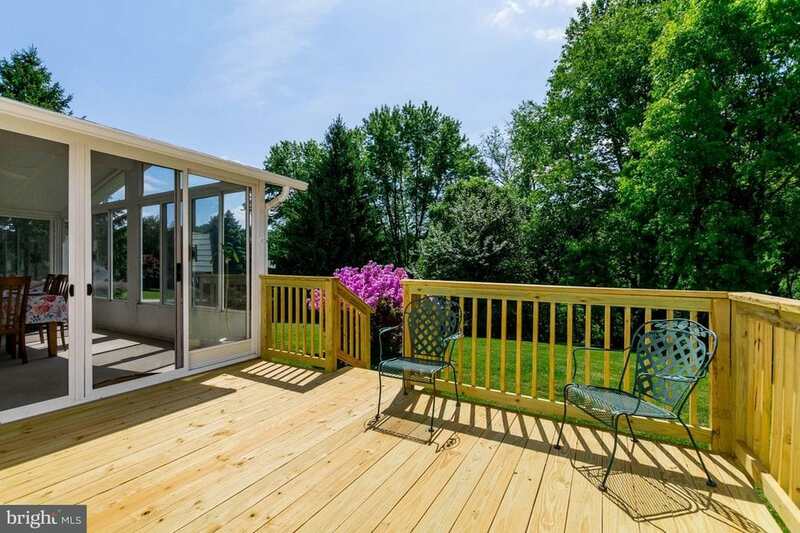 We have dreams of maybe adding a sunroom one day but it would be many years from now. 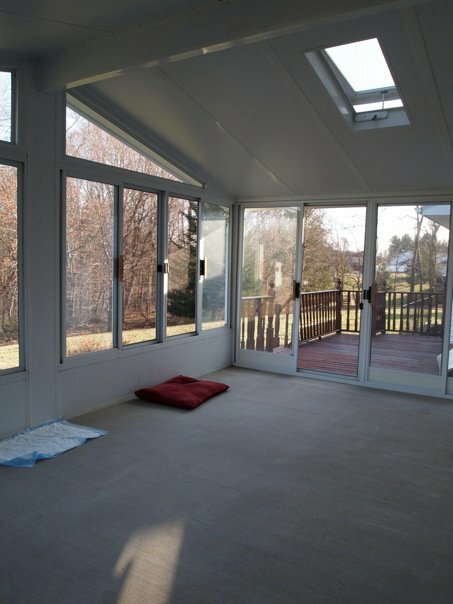 It was such a great room for parties and holidays. We just gave it a little refresh. It originally had blue carpet that was wet and had seen better days. We never got a picture of the blue carpet since we removed it immediately. But here is the earliest before. 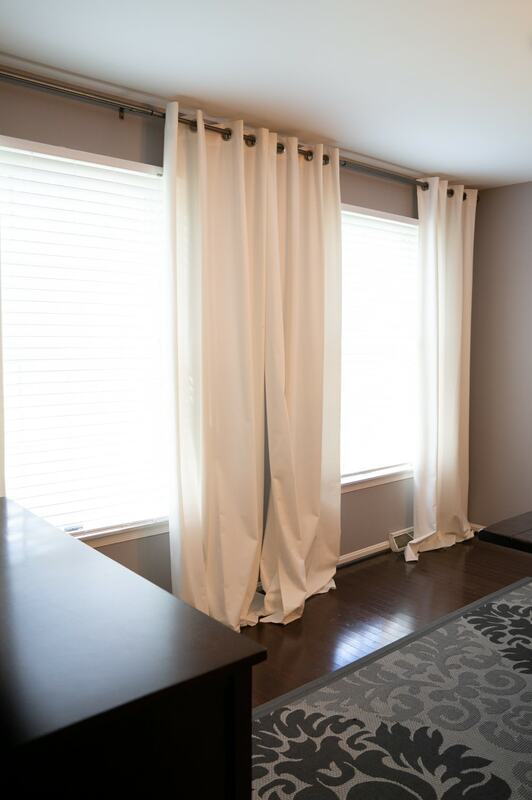 If we had stayed, we would have revamped this room more (new flooring, drapes, etc.). My boys will definitely miss this space as well. 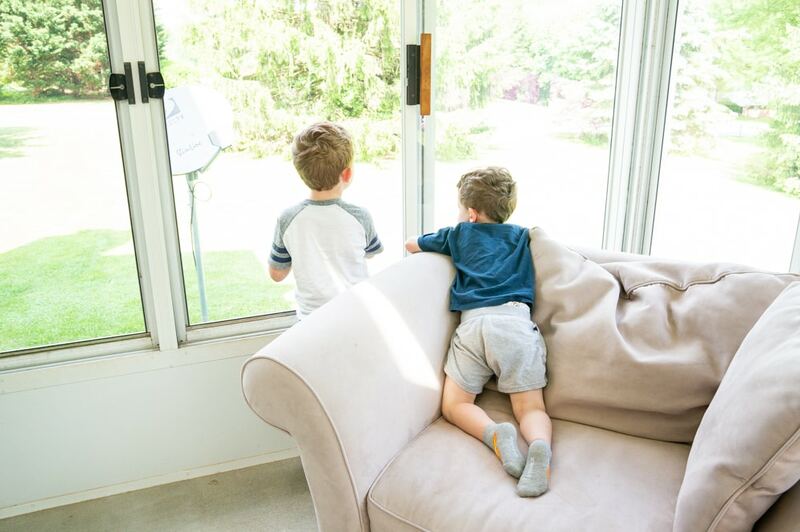 They used to sit in this spot and watch my husband mow. 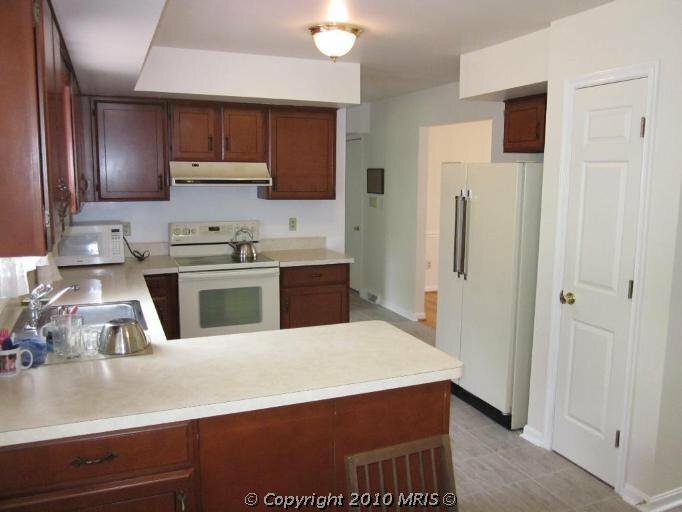 Like most of you, the kitchen was the heart of our home. 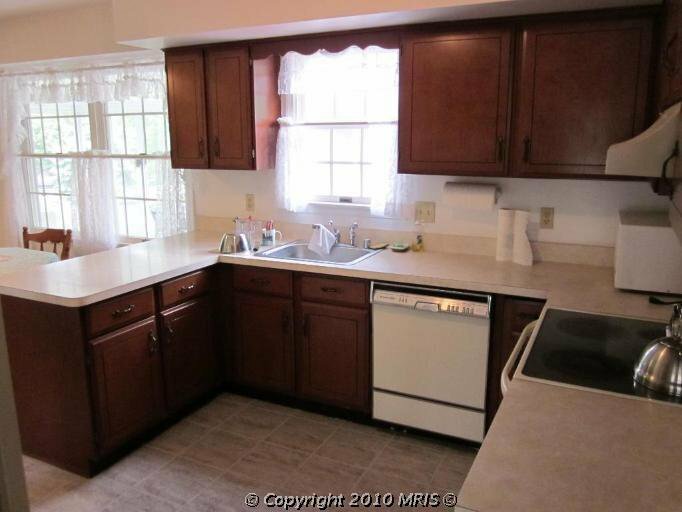 The Senior Colonial started with dark wood cabinets, vinyl peel and stick tile, no backsplash, and outdated lights. 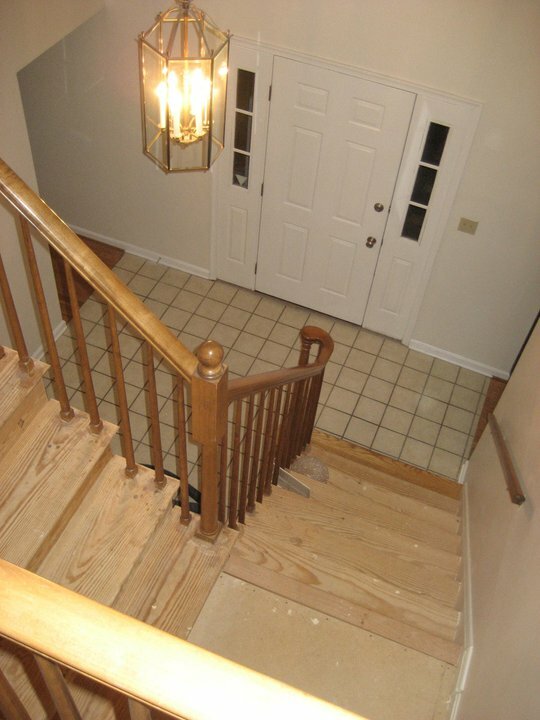 The flooring was the only thing not original to the home. 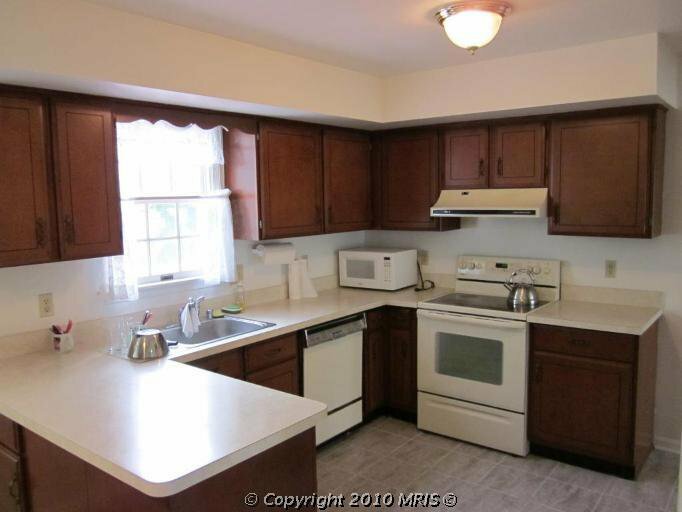 We painted the room, painted the cabinets, replaced the hardware, replaced the lights (twice), my Dad modified two cabinets to work with the sink and the microwave, my parents put in a backsplash for us, and we purchased all new appliances. 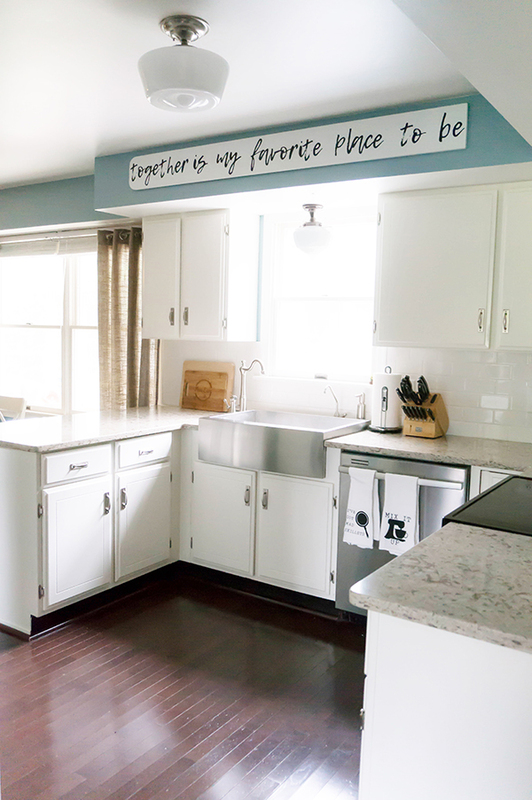 My favorite part of the kitchen was my farmhouse stainless sink. 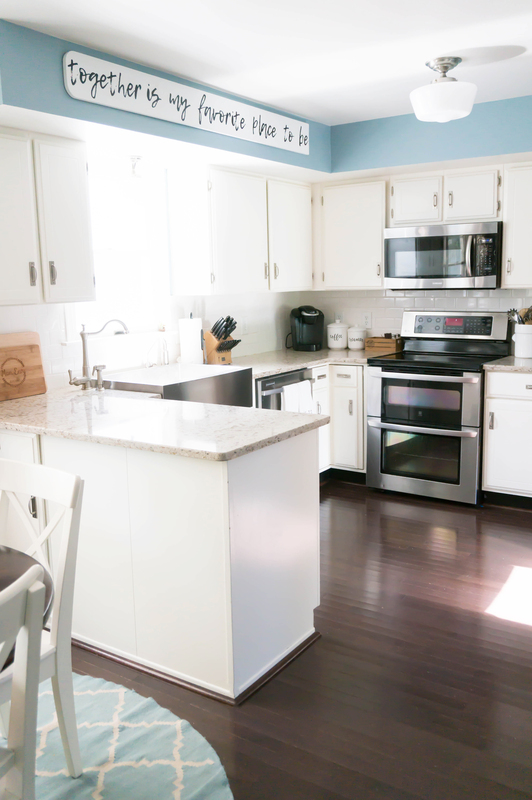 Want to see more about the kitchen design? 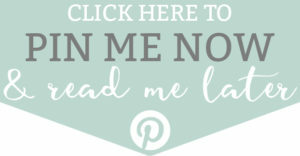 Check out these posts. 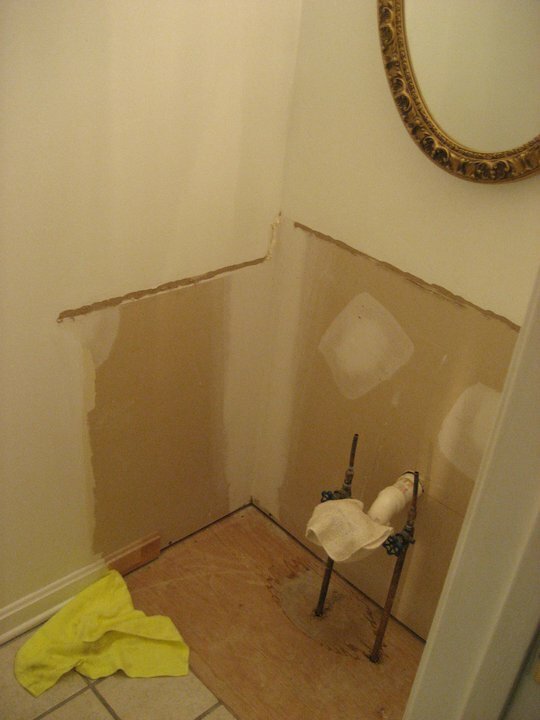 The master bedroom and bathroom were our last concern when remodeling the house. 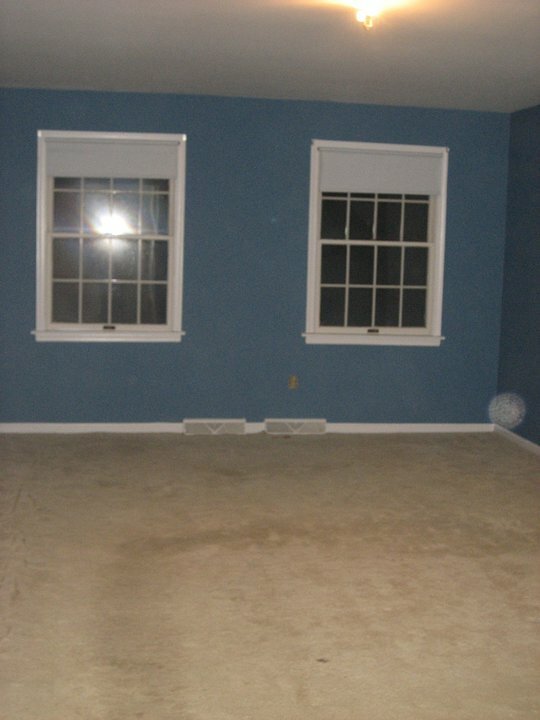 When we first moved in, we painted it blue and changed the outdated carpet. We compromised on the paint color and both of us ended up disliking it. 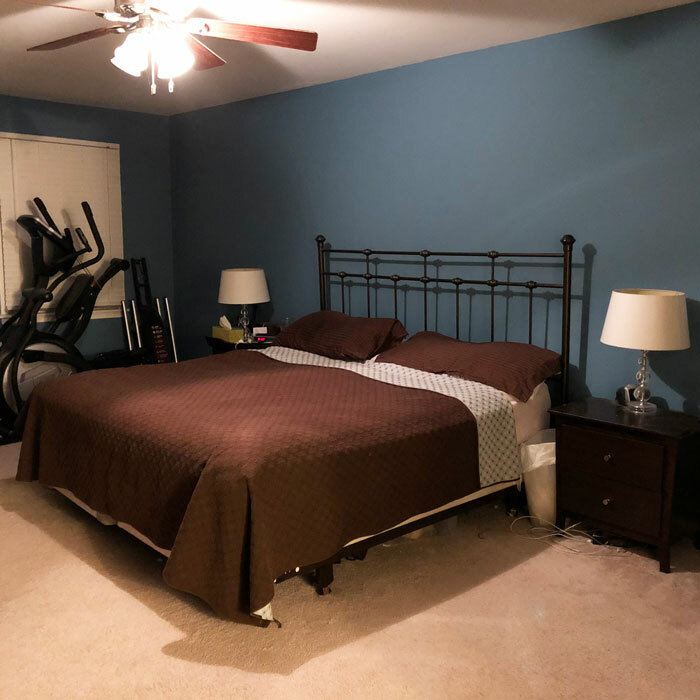 We did what most parents do, we said, “oh well, we’ll fix it later,” and we just put in old furniture and left it as is and put our money towards more important rooms. 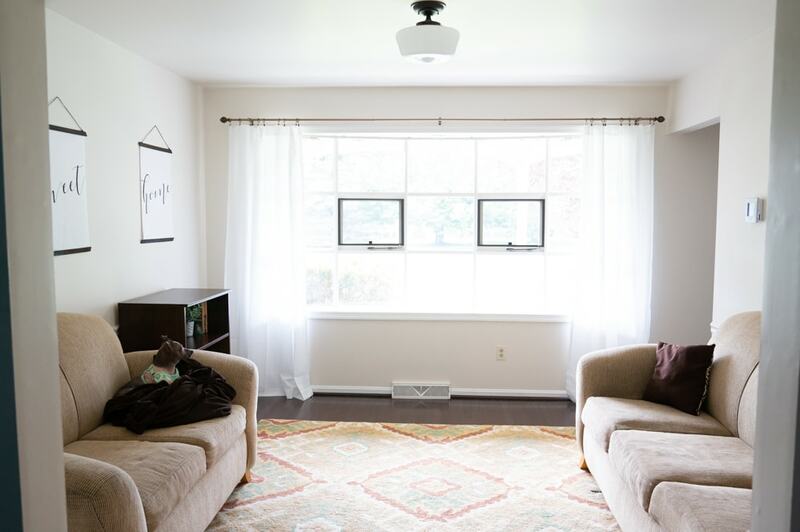 Then, we were given the opportunity to replace the carpet from Mohawk’s new hypoallergenic Air.o carpet (they sponsored a post for me) and we decided it was time to finally fix the room up. 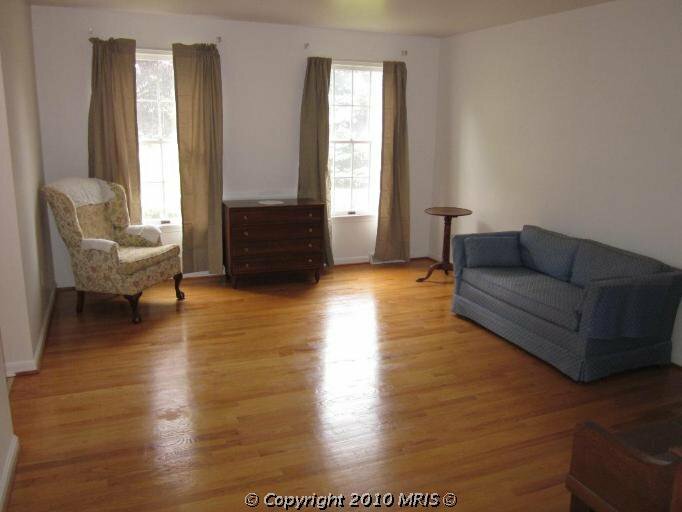 If we had stayed, we would have probably done even more to it (aka new furniture). 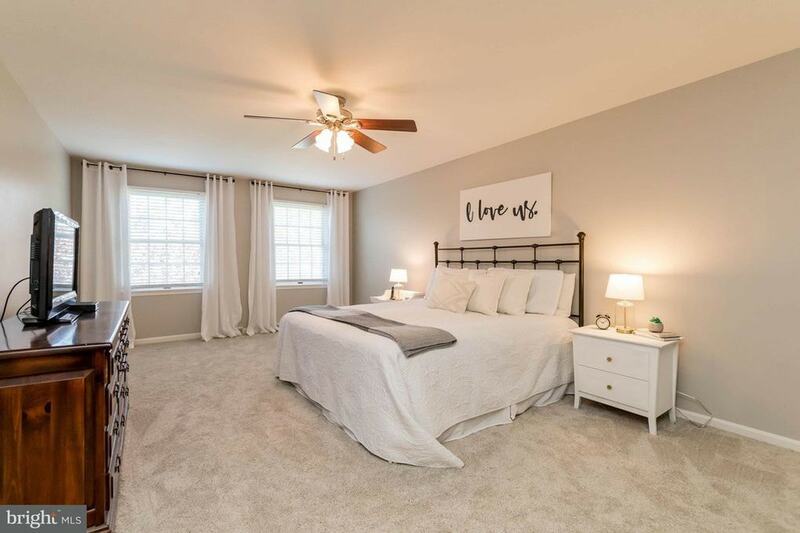 My favorite part of the master bedroom was the paint color. Did you know that my readers voted to pick it? It was so much fun and I am so glad you all helped because the color turned out great. 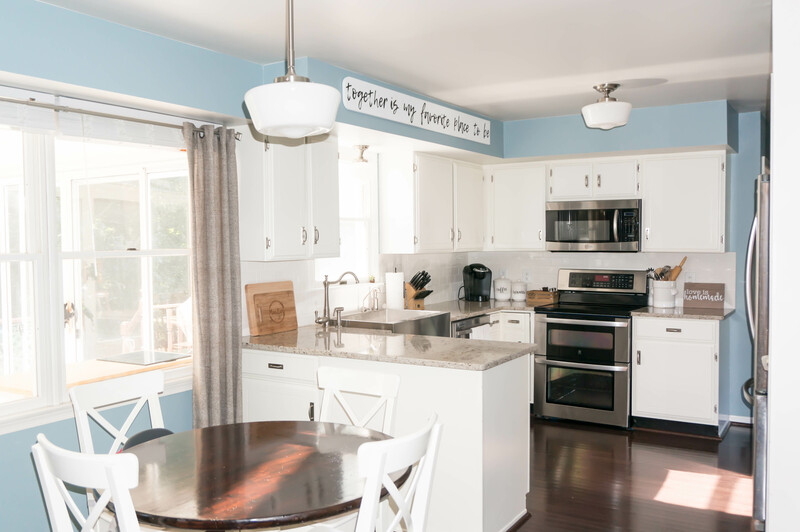 Read more about our master remodel below. This is how we lived for most of our time at Senior Colonial. This is the renovation I wish we had done sooner. Our bedroom was liveable. But our bathroom was straight out of the ’80s and it was an awful space to wake up in the mornings. 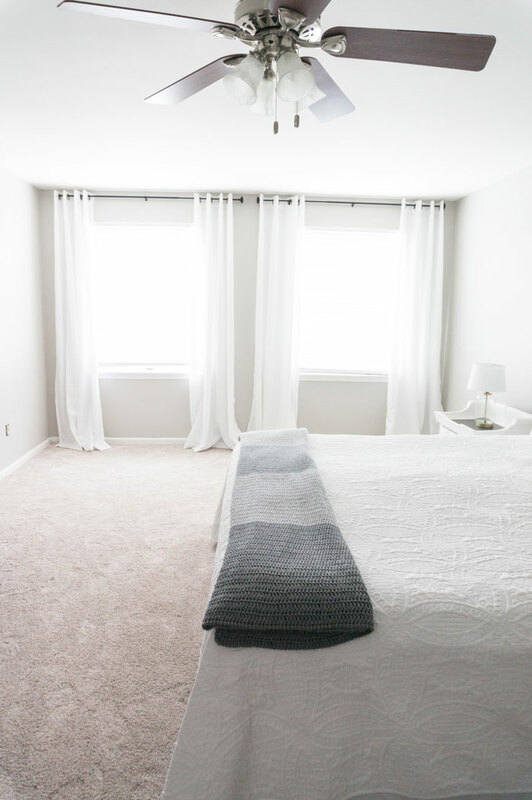 After we remodeled it to sell, we couldn’t believe how much better our days started with a fresh, clean space to get ready in. It was like living in a hotel compared to our days with the pink bathroom. 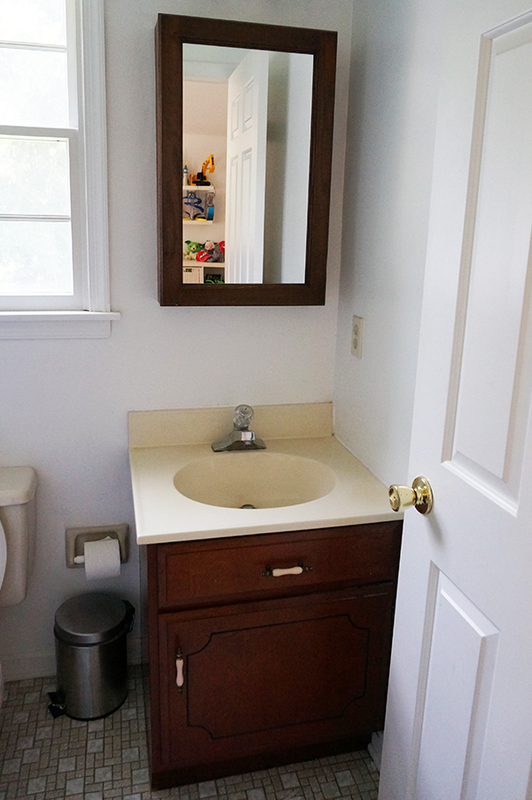 We painted the vanity and vanity top in the hall, replaced the one mirror and painted the other, replaced the medicine cabinet door, replaced the flooring, painted the tile, replaced the toilet, replaced the towel/toilet paper holders, replaced the vanity top, and added a barn door to give the bathroom more privacy. We were not a fan of the openness of the vanity space outside of the main bathroom. Plus, I was looking for any reason to have a barn door in the house. Below, the before is on the right and the after is on the left for each picture. 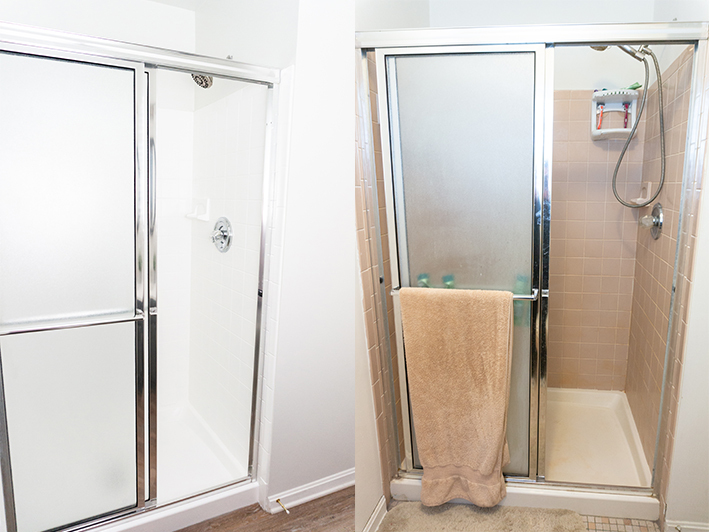 We spent only around $900 to remodel the entire bathroom including adding the barn door! 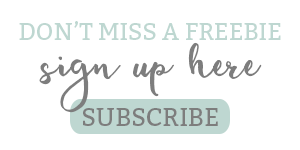 Want to see the full details? Read more from each post below. This room was part of a one-room challenge. 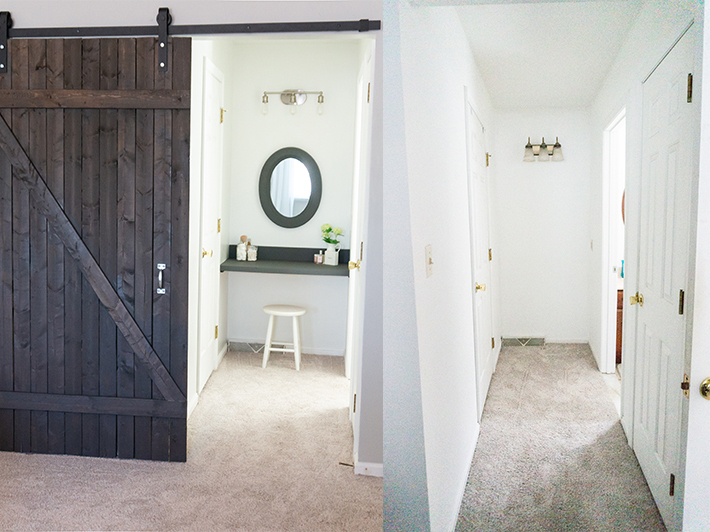 Week Five: DIY Inexpensive Barndoor – less than $100!